Salem, MA 03/11/2007 Chad Bennett, cq, is a poi (fire spinner) in Salem, MA. 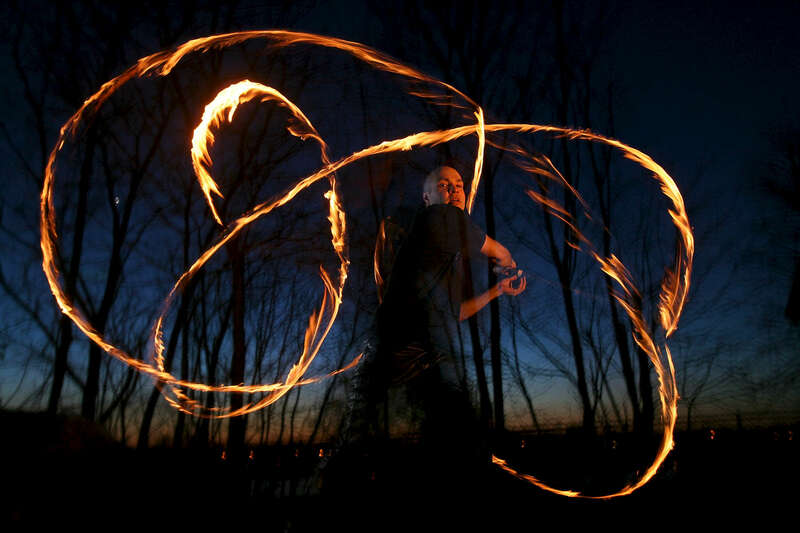 He is demonstrating various fire spinning techniques. Every summer for the past two years, Chad has been hosting the Wildfire Festival, a bi-annual. 3-day intensive training camp for New England fire performers, belly dancers and drum makers. Story by Amy Farnsworth. Dina Rudick/Globe Staff.